Of my three goals for 2018, my goal of shooting competition comes largely from Kevin Creighton of the Misfires and Light Strikes blog. I have written a lot about Col. Jeff Cooper’s central role in establishing the civilian gun training industry which played a central role in the supplanting of Gun Culture 1.0 by Gun Culture 2.0. I have said much less about the centrality of competition shooting to Cooper’s work. 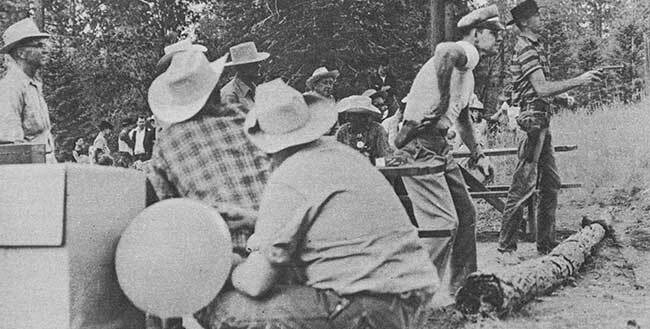 Although well-known, it bears repeating that Cooper’s codification of the Modern Technique of the Pistol grew out of the Bear Valley Gunslingers’ leather slapping and later the South West Pistol League competitions. Significantly, not only was the American Pistol Institute at Gunsite Ranch founded in 1976, so too was the International Practical Shooting Confederation (IPSC), with Jeff Cooper as the first president. So, Kevin Creighton is right in reminding me of the centrality of the practical shooting sports to Gun Culture 2.0. In emphasizing the recreational and social aspects of the shooting sports, Kevin also takes me back to my early roots in gun culture. The first time I shot a gun, I did not do so to learn how to protect myself. I did so because I was afraid of guns. But I realized during that first outing that shooting IS FUN. So the first guns I bought for myself were target .22 pistols and rifles for plinking and over/under shotguns for clay target shooting. The very first title I thought of for a book on gun culture was going to include four “Fs”: “Faith, Fear, Fun, and Firearms in America.” The faith would incorporate my previous work as a sociologist of religion and the fear would highlight the self-defense aspect of gun culture. And of course there was the FUN. As my book project has developed, my approach has shifted and some of these early interests were lost in the transition. So, by shooting competition, I will bring back some of the fun aspect, but now in connection with the self-defense emphasis of Gun Culture 2.0. As IPSC/USPSA seems to accentuate the sport over the practical today, I am planning to shoot IDPA (International Defensive Pistol Association) instead. 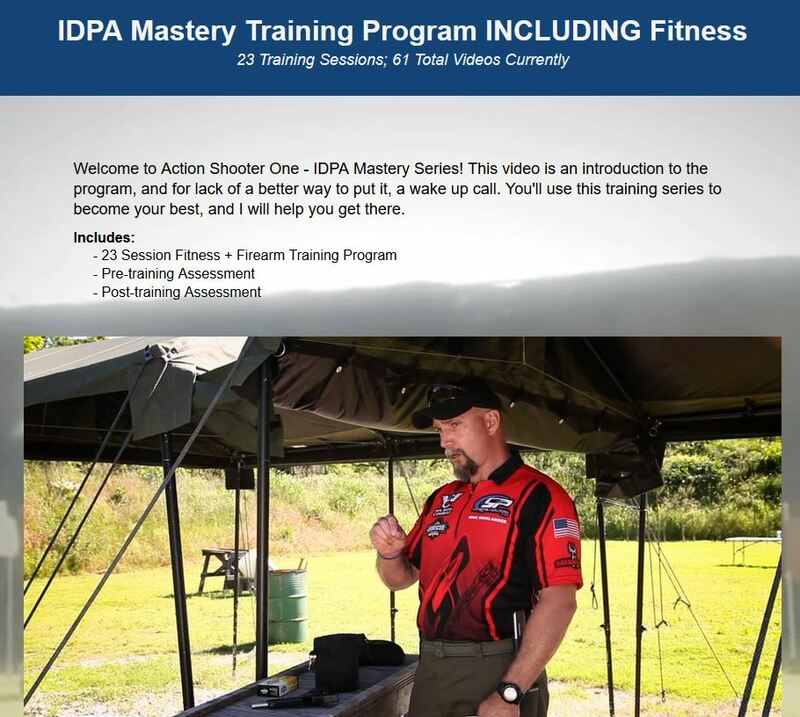 To this end, in addition to realizing my goals of shooting more and better, I am going to try to get into IDPA using the resources Mike Seeklander has put together under the auspices of the American Competitive Shooting Society. Two aspects of Seeklander’s program are particularly attractive to me. First, it contains a fitness component. As Sherman House has written recently on his Civilian Defender blog, the single most important self-defense accessory for most people is a gym membership. This echoes Aaron Haskins’s thoughts on relative risk management for gun owners. In an essay I re-posted on this blog, Haskins lists “Get in shape” as the number one priority in managing risk in our personal lives. Guilty as charged! Second, Seeklander’s program incorporates dry fire and, as I noted yesterday, I have a NextLevel Training SIRT Pistol on the way to my house for just this purpose. As with my other goals of shooting more and better in 2018, I will keep you all posted here on my progress. Tags: Col. Jeff Cooper, dry fire practice, fitness, International Defensive Pistol Association, International Practical Shooting Confederation, Kevin Creighton, Mike Seeklander, United States Practical Shooting Association. Bookmark the permalink. Supporting you in your goals sir from the woods of Virginia. Hi David. Thank you for the mention. I hope to meet you in person, soon. Yes Sir I will be there!